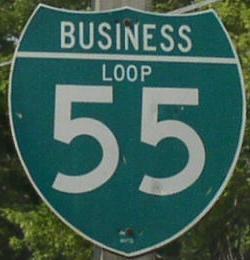 Business Loop Interstate 55 at Jackson and Cape Girardeau Missouri, runs along U.S. Rt. 61. 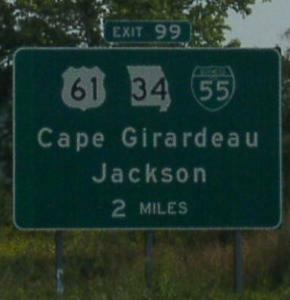 This highways lead traffic into and through both, Jackson and Cape Girardeau. BUSN Loop I-55 passes through the following towns in Cape Girardeau County. 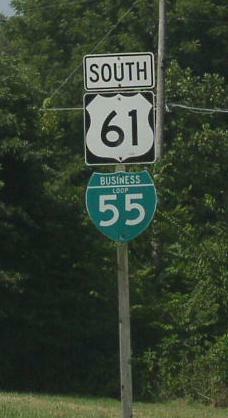 BUSN Loop I-55 is multi-plexed in Cape Girardeau County. U.S. Rt. 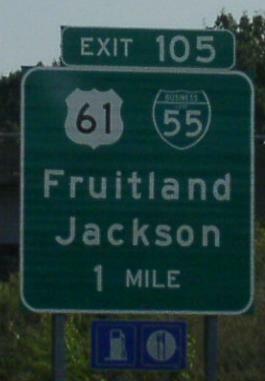 61, from near Fruitland to Cape Girardeau. 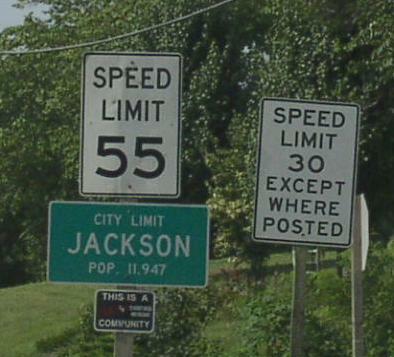 Missouri State Route 34, near Jackson to Cape Girardeau. 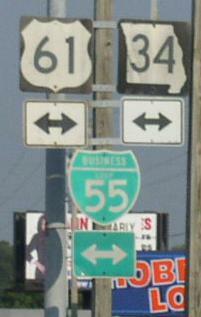 BUSN Loop I-55 intersects the following highways in Cape Girardeau County. U.S. Rt. 61, near Fruitland. 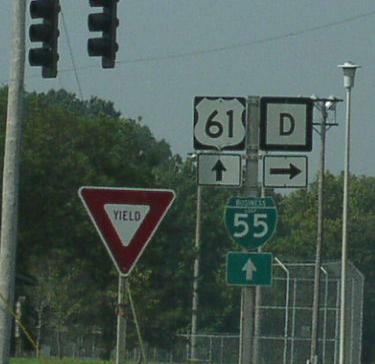 Missouri Secondary State Route Y, near Jackson. Missouri Secondary State Route D, near Jackson. 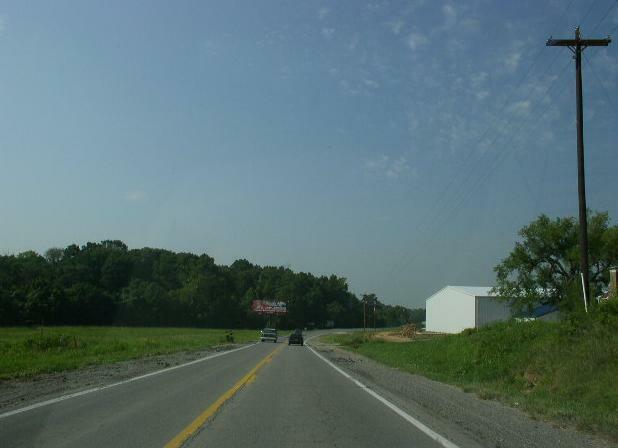 Missouri State Route 34, at Jackson. Missouri State Route 25, near Jackson. 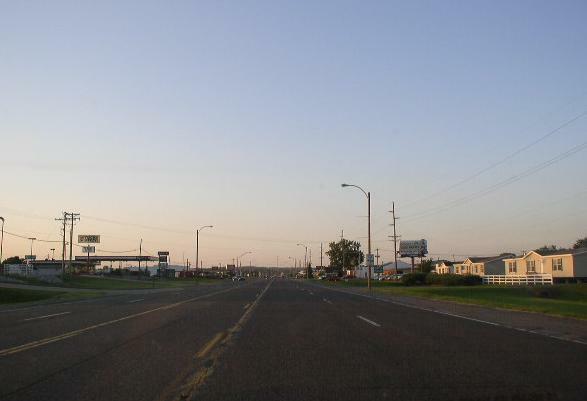 Missouri State Route 72, at Jackson. Interstate 55, near Cape Girardeau. Missouri Secondary State Route W, at Cape Girardeau. Missouri Secondary State Route K, at Cape Girardeau. 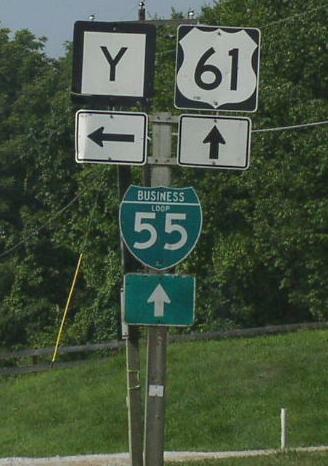 Missouri State Route 74, at Cape Girardeau. 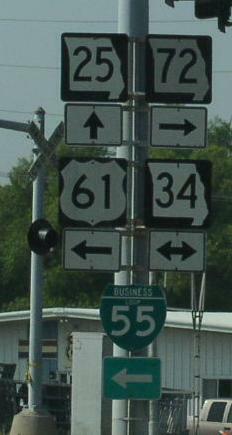 Missouri State Route 34, at Cape Girardeau. 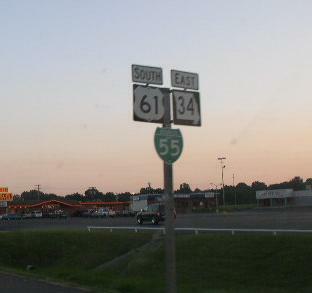 Interstate 55, at Cape Girardeau. SB BUSN Loop I-55/U.S. Rt. 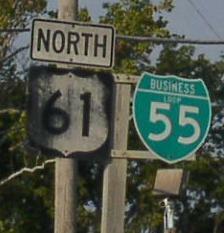 61 near Jackson. 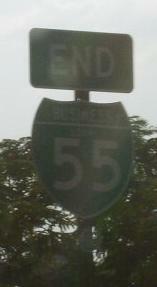 NB BUSN Loop I-55/U.S. Rt. 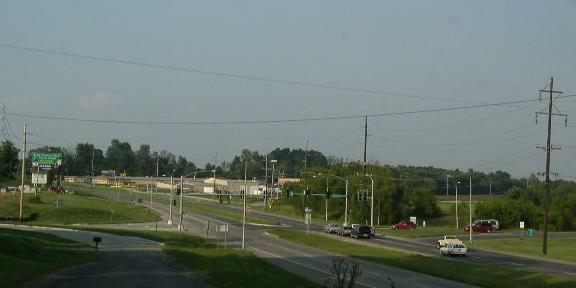 61; WB MO St Rt 34 in Cape Girardeau. Looking north at the intersection of BUSN. Loop I-55/U.S. Rt. 61 and Southern Expressway in Cape Girardeau. Southern end marker in Cape Girardeau.